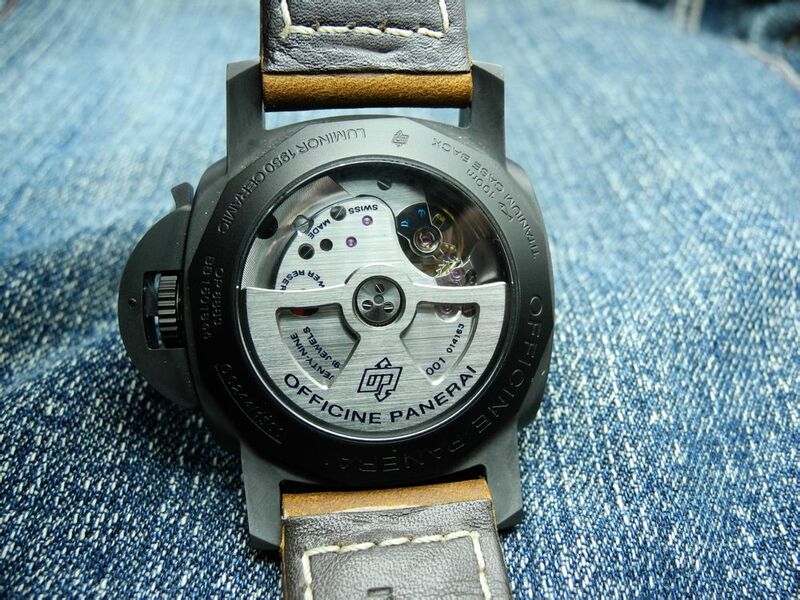 Panerai has always been the hottest product in replica watch world, and PAM 441 is the mostly replicated one, from stainless steel case to Titanium, then being upgrated to Ceramic case, PAM 441 has achieved to be perfect after going through a series of development. Today, let us find how is the workmanship of PAM replicas. Movement: Panerai P.9001 automatic, manufactured by Panerai independently, 13¾ linges, 7.9mm thick, 29 jewels, Glucydur® balance wheel, 28,800bph. Incabloc® shock absorber. 3-day power reserve, double barrel. Made of 229 components. 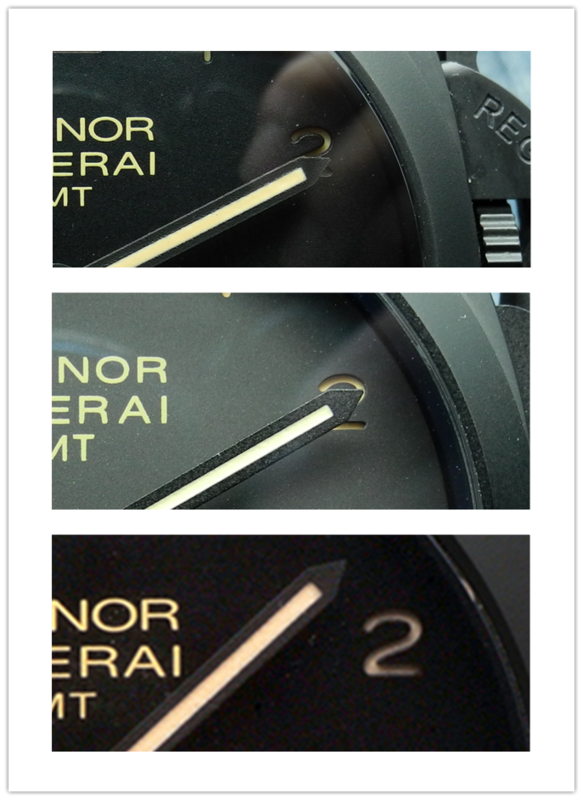 Function: Hours, minutes, small seconds, date, gmt, power reserve indicator, zero reset. 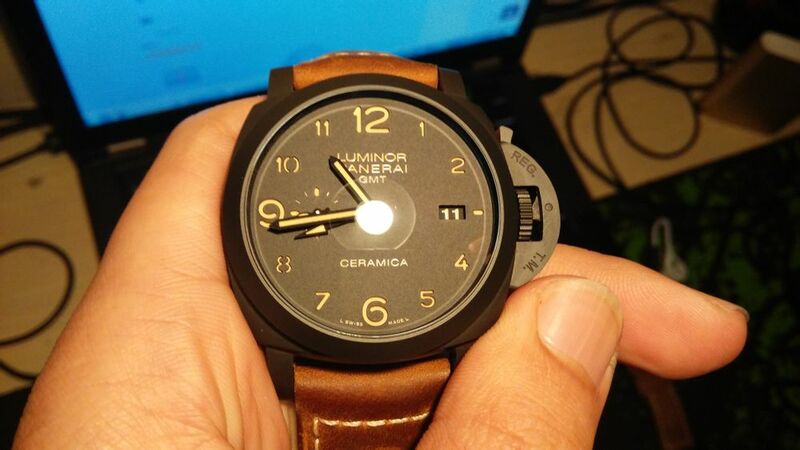 Panerai uses ZrO2 to make high-tech ceramice, to manufacture Luminor and Luminor 1950 case. 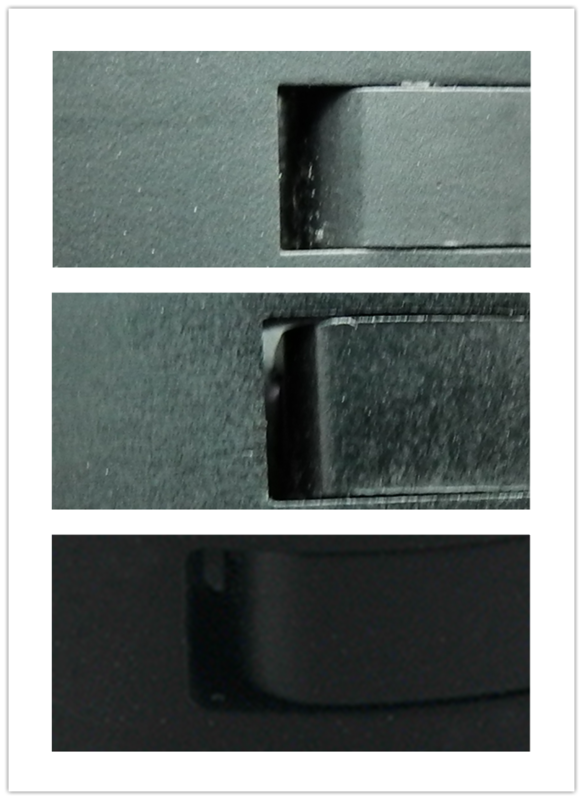 This type of high-tech ceramic has a high level of hardness, it is extremely scratch and shock resistant. 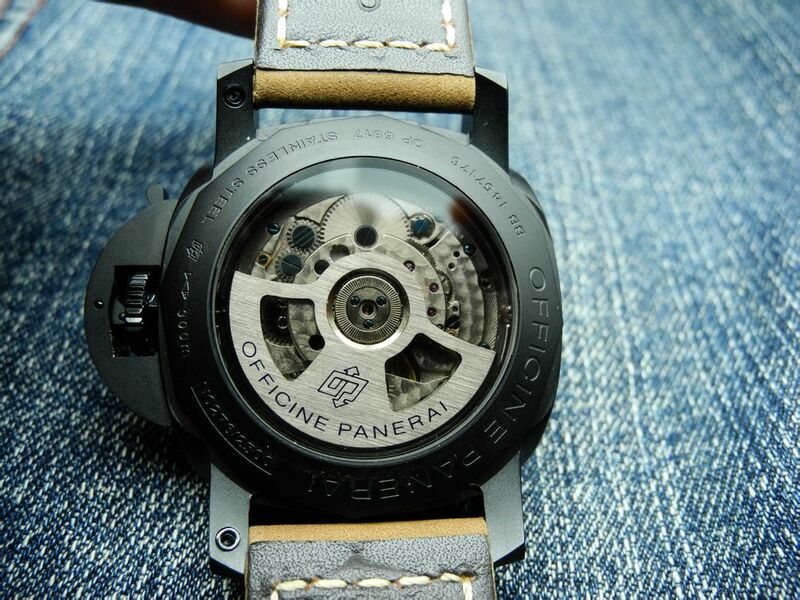 Genuine PAM 441 is water resistant to 100 meters, but the replica can be only water resistant in daily life. Faux power reserve display on KW PAM 441. 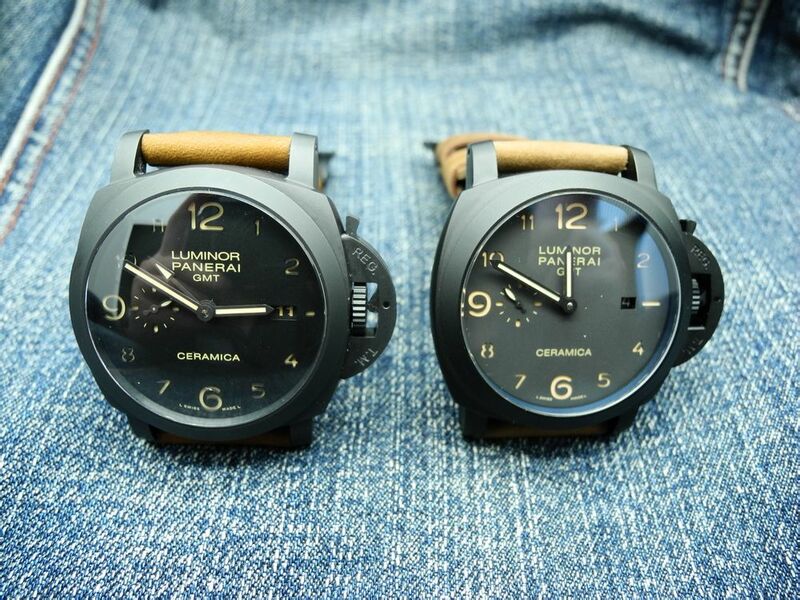 The left one is KW PAM 441, the right one is 441 from other small factories, here we call it WMC 441. The pictures below we are going to review are KW, WMC and Gen. 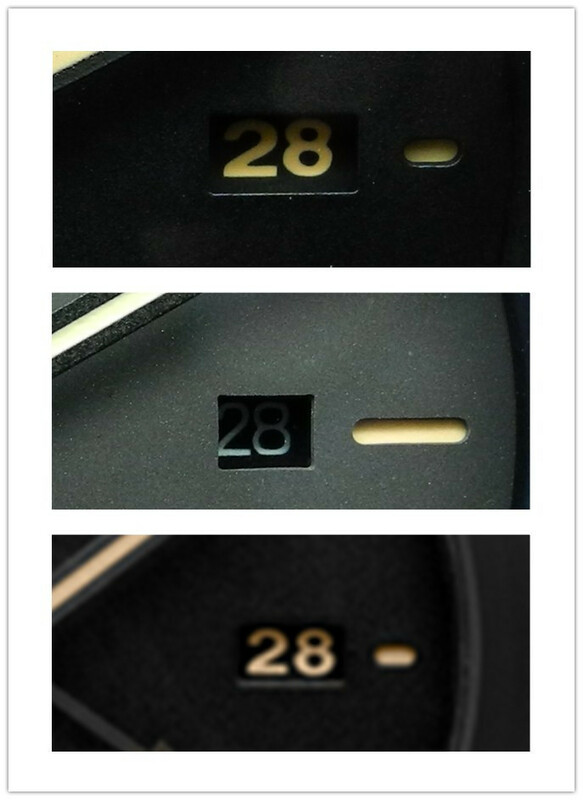 The dial color of WMC version is a bit light. 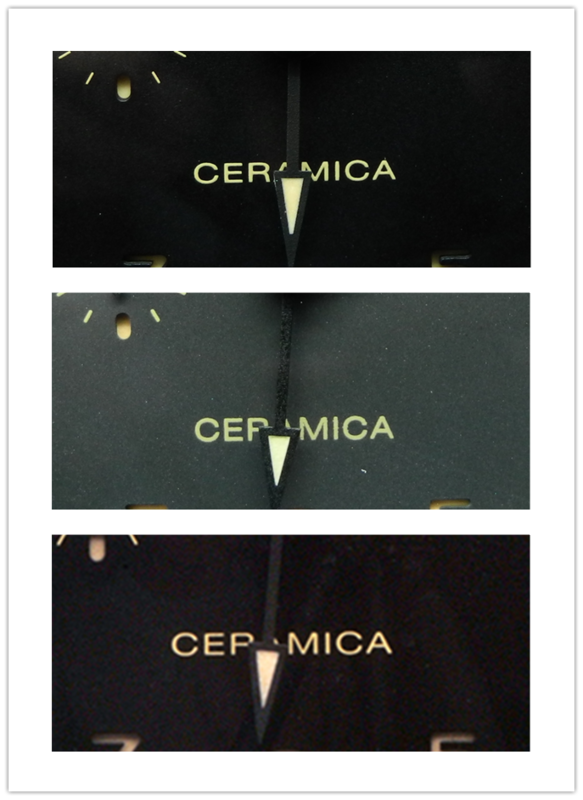 CERAMICA font is the same. KW PAM 441 has the same date window and date font with gen, while WMC replica obviously has different date font and color. 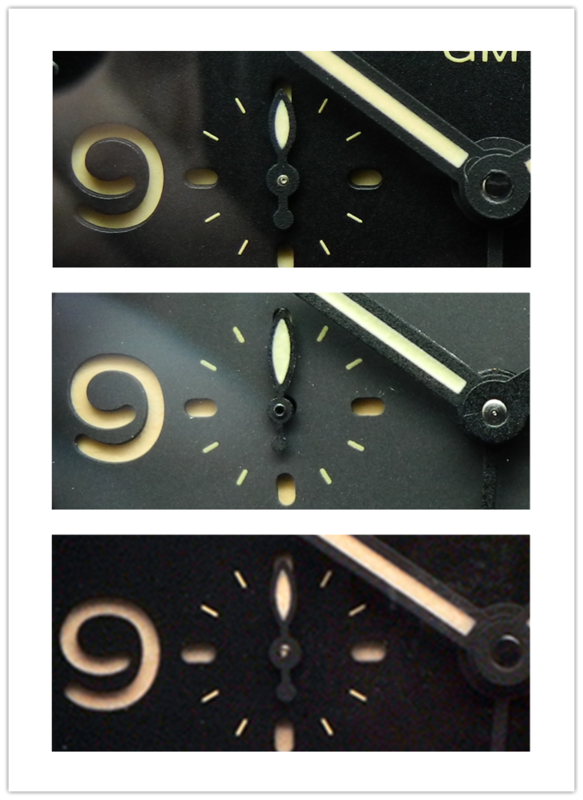 On hour and minte hands, two replica PAM 441 versions have the same length with gen, but WMC has a longer small second hand. 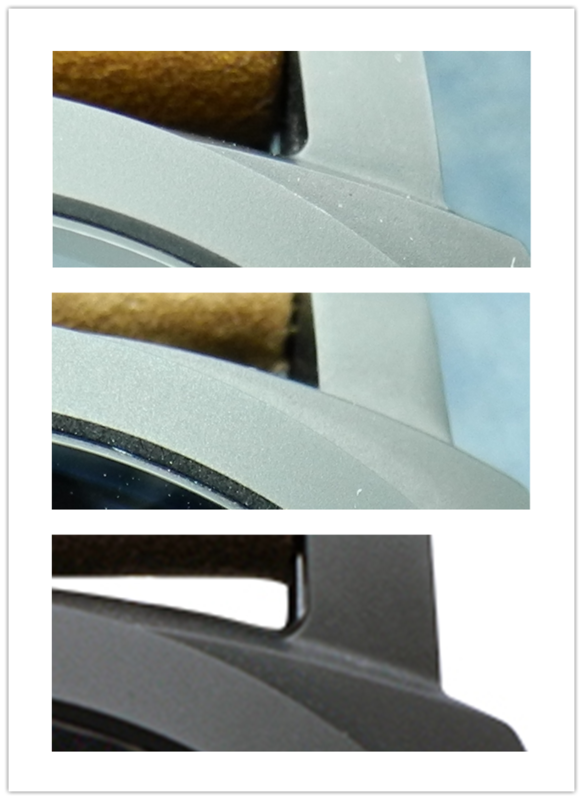 Check the crown bridge, KW and gen all have bevel edge, while WMC does not have. 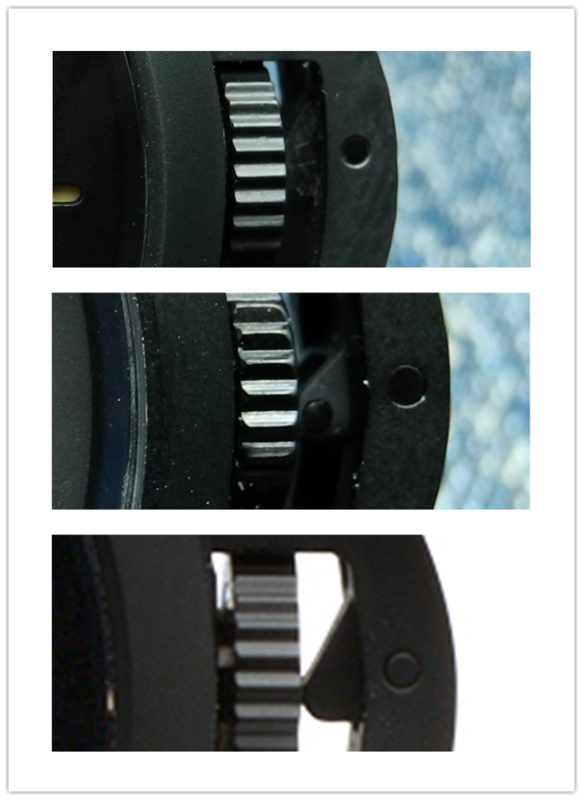 They are all slightly different from gen, and WMC version has an extra little ball bearing. KW PAM 441 and gen have the same lugs, while WMC 441 is different. KW uses Shanghai 7750, WMC PAM 441 replica uses ST25 movement. 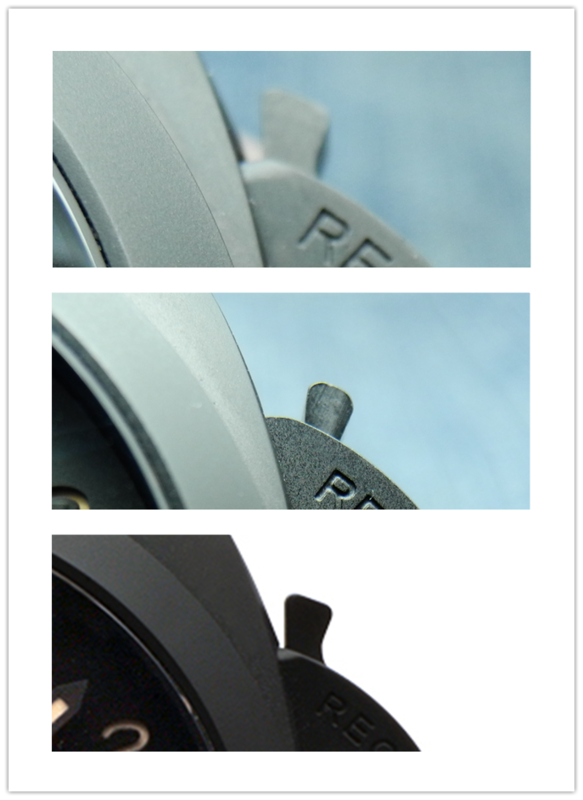 The power reserve indicator and engravings of KW version are very close to gen, while some details like the shock absorber can not completely be made the same as gen, you can see the great progress these watch manufacturers have made. 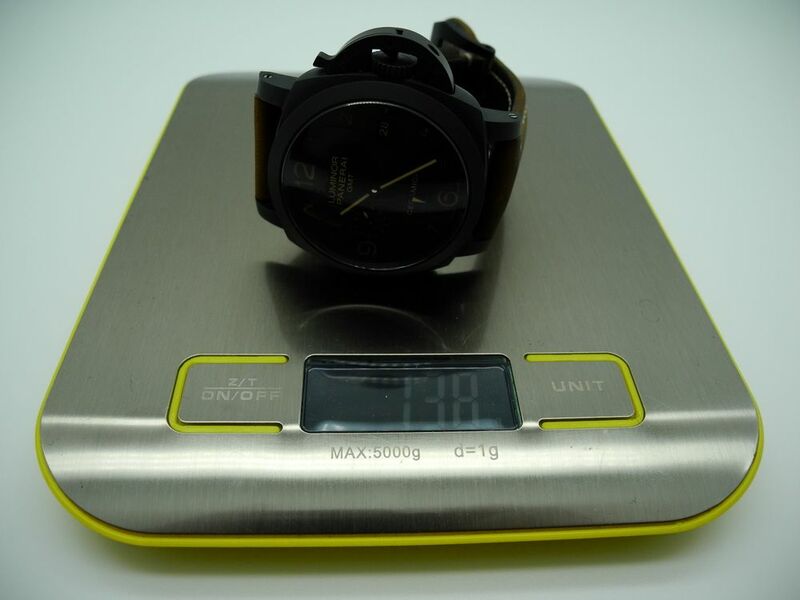 KW PAM 441 uses black ceramic, it weighs about 138g, the WMC version is a little heavier, about 142g. Under light, the crystal on KW 441 is clearly transparent. 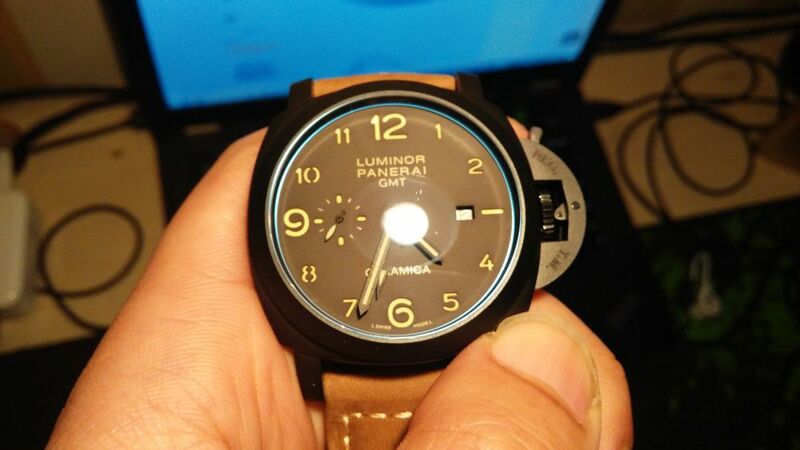 After comapring the two replica PAM 441 from different two factories, I will give some honest advice here. The WMC PAM 441 replica is much cheaper than KW PAM 441 version, if you do not have enough budget, the PAM 441 from WMC is also a good choice, it does not have too much difference with gen, besides, Sea-gull ST25 automatic movement has a very good fame because its high stability. 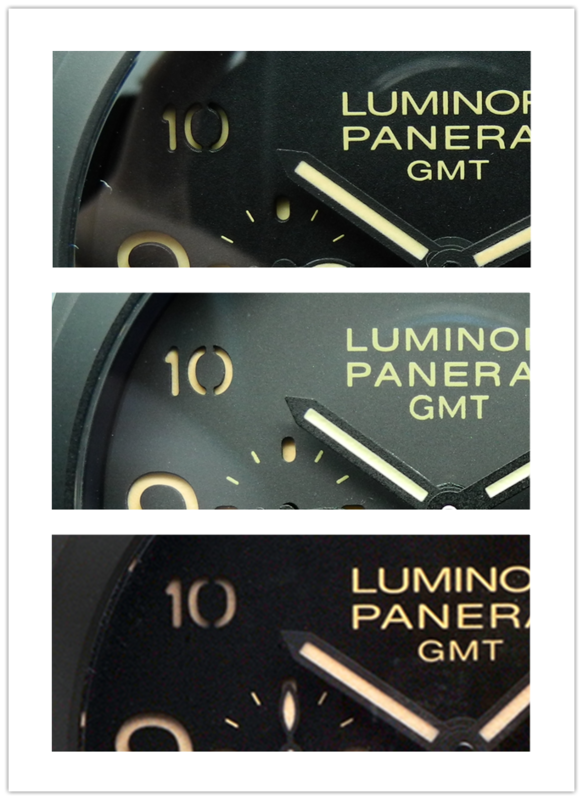 Here we can see the quality of replica Panerai has achieved a high level, the improvement of case material on KW PAM 441 makes it very close to gen, it is a high end PAM replica watch. Hi there , would like to know if you can get hold of a Pam 441 ceramica dial as i damaged mine and i am looking for a new one? You just want a dial? I’d like to purchase one panerai ceramic and one Big Bang Hublot rose gold. And the kw441..How much and how long will it take. Where can I find the kw 441 replica an how much is it? I am interested in this KW PAM 441. Could you please email the details, price, payment,postage etc? hey karen awesome KW 441! if you dont mind sharing source i’d love to get one for myself for bday! cheers! Interested to get the KW 441. Can share with me how to get it and how much? Am keen, kindly provide details of pricing with pictures and timeline for delivery. I like to get one too ,where do I have to contact? or someone contact with me.. Please email me the price for both replica, thank you. 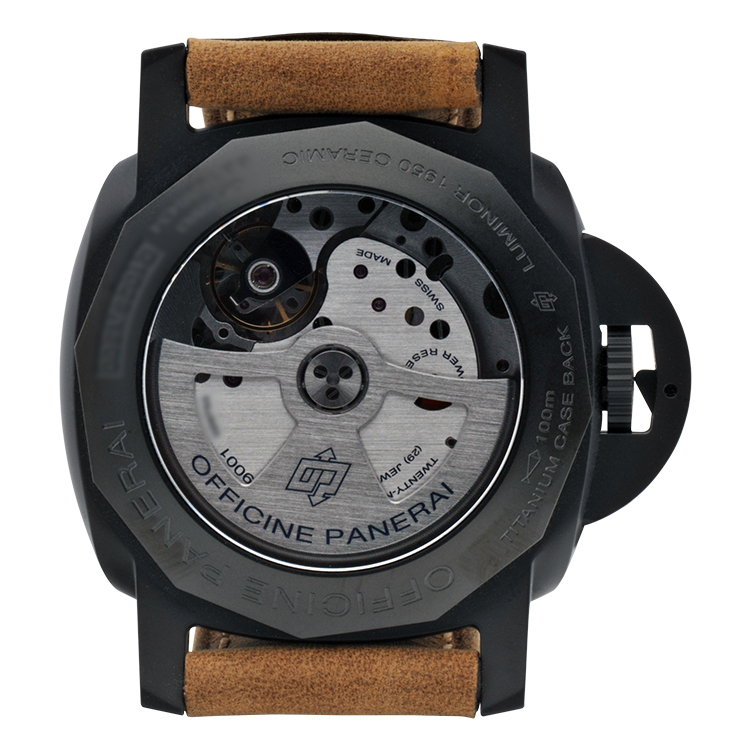 Where is the best site to buy this KW PAM 441 Panerai? And price? I am interested in this KW PAM 441.Send me,please,e-mail with the details:availability,price,payment,delivery. 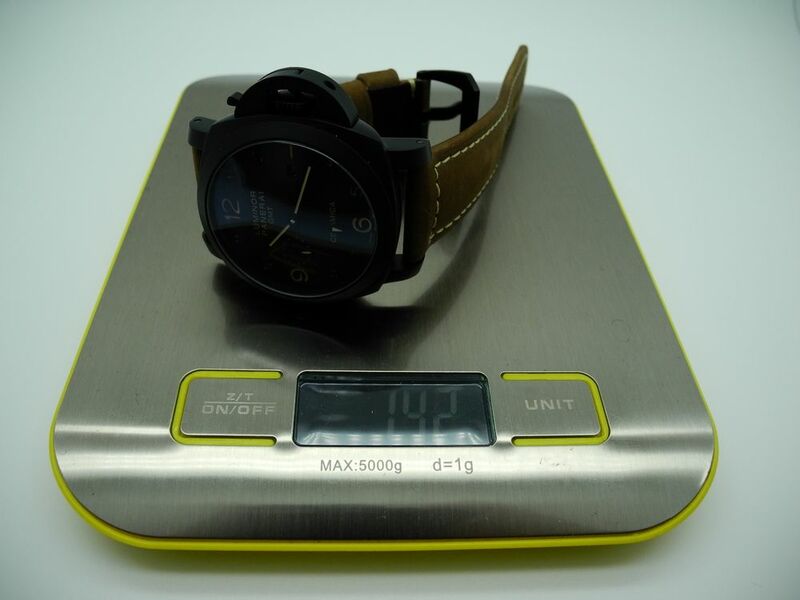 Do you have info/review about the new Luminor PAM 441 Real Ceramic Case from VS Factory V2?